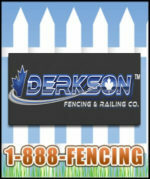 Derkson Fencing & Railing Co.
Business Name: Derkson Fencing & Railing Co.
Derkson Fencing & Railing Co. 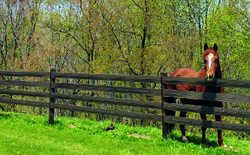 Owned and operated by: Derkson Contracting Ltd.
All Our Staff members are fully trained, as well can explain any process to our client base with 100% confidence from the sales office, service & Parts Department to the final product at your home or business, we are setting the bar for customer service in the fencing industry we will exceed and meet the growing demands you expect today. 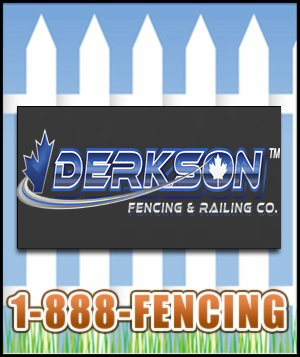 Derkson Fencing Co. has earned a spot at the table with our of the box thinking for Custom designs, Our outstanding sales Team, is just some of the reasons Derkson Fencing Co. is the Fastest growing Fencing Sales & Supply Company in southern Saskatchewan & across Canada. To Provide the best Products & Services on the Market today, we will never compromise, always Continue to Train and maintain the best trained Talent in the Industry, To offer ongoing training, provide the best equipment, continue to grow our Business relationships with suppliers to offer the best pricing to you our client. 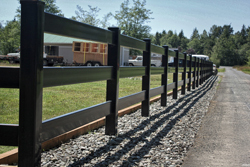 Stand by our commitment to Quality by offering great warranty on our work. Maintain all our industry memberships and exceed there expectations, such as THE: CFIA, AFA, NAFCA, BBB, and more. 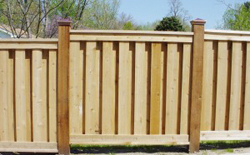 Provide every customer large or small with the our 100% satisfaction Guarantee.